Banal consolations are not what I want to offer; there are none in your situation. But tell yourself that the contempt and shame that attach themselves to your name, to our name, for a crime that you have not committed, must not make you bow your head. You must be alive, amongst us, on the day of reparation. Light shall be shed and it will be blinding, I promise you. I have taken upon myself the task of solving the enigma of this frightful story, and I will never give up, no matter what happens. And I have the certainty, the most complete and absolute belief, that I will succeed. One trembles to read words of such power a hundred years removed from Devil’s Island. Imagine how Dreyfus felt when they reached him. The photo of him immediately after the degradation ceremony is heartbreaking: it is the image of a man crushed beyond all hope of healing who yet tries to retain his dignity. No portrait exists of him during his lonely penal term, yet it would have been infinitely more horrible. His good name would not be restored for nearly eleven years, and then only because of the efforts of his brother. If European fascism were a ladder, the Dreyfus affair would have its own rung. Situated between the Russian pogroms of the 1880s and the first echoes of the goose step, it ushered in the bloody new century with the cry of “Death to the Jews” and the smashing of store windows. Writing in 1951, Hannah Arendt marveled that “[n]either the first nor the second World War has been able to bury the [Dreyfus] affair in oblivion,” and observed, “Down to our times, the term anti-Dreyfusard can still serve as a recognized name for all that is anti-republican, antidemocratic, and anti-Semitic.” This point has reverberated for sixty years; the affair is still one of the most written-about subjects in European history. It prompted the birth of the Zionist movement after Theodor Herzl left France in 1896 to write Der Judenstaat, in which he argued that Jews must relocate, not assimilate. It also startled republican France by revealing the depths to which even an enlightened and cultured nation could sink. The second-place finish for Jean-Marie Le Pen and his far-right National Front party in France’s 2002 presidential election caused such alarm because it occurred in a country that had both locked up an innocent Jew and moved its government to Vichy. Ferocious anti-Semitism accompanied Dreyfus’s court-martials and the trials of his various allies and opponents. Catholic partisans revived the blood libel, claiming that Jews were kidnapping Christians to bleed them in order to make matzos, and editorialists drew cartoons of Jews roasting on spits. When one of the heroes of the ordeal, Georges Picquart—himself casually anti-Semitic—unearthed evidence that Dreyfus could not have been the one who passed French artillery specs to the Germans, he was famously told, “What do you care if that Jew rots on Devil’s Island?” Throughout the affair, Dreyfusards strove mightily to deny their opponents the pleasure of claiming that they were financed or otherwise tied to the mysterious and much-feared Jewish “syndicate” that secretly pulled the world’s strings. With scenes like these, it is little wonder that the Dreyfus affair has become one of the great clarifying episodes in modern Western history, like John Brown’s testimony against slavery or Dietrich Bonhoeffer’s work on behalf of the German Resistance. Such moments, refracted by time, become lessons, teaching us to act with an eye to hindsight and reminding us that our public and private decisions are consequential things. When liberals today champion gay rights and denounce draconian immigration laws, they rightly want one day to have sided with the freedom riders, not the bigots with water cannons. Two new books on the Dreyfus affair grapple with its moralizing and mythologizing effects. One reinforces and the other disrupts standard narratives; yet both are excellent. Louis Begley’s Why the Dreyfus Affair Matters is a slim, elegant work—another impressive volume in Yale University Press’s “Why X Matters” series. Begley is a retired corporate attorney and occasional novelist, a cosmopolitan man-about-town whose prose is as crisp as his resume is distinguished. His book is a fluid, confident survey that clearly sketches the chronology, main players, and historical and literary legacy of the affair while making a provocative comparison to the war on terror. Where Begley synthesizes, Ruth Harris unpacks. Her goal in Dreyfus: Politics, Emotion, and the Scandal of the Century is to unsettle “the orthodox interpretation of the Affair’s meaning and significance.” A thorough work of scholarship with a firm sense of its own place in the historiography, Harris’s Dreyfus claims that romantic idealizing of the affair by liberals makes for a sort of told-you-so triumphalism that is “good rhetoric but poor history; it downplays to the point of caricature the sordid dimensions of the Affair, which even today many French seek to forget.” The book is a carefully crafted intellectual history of fin-de-siècle France that explores at length the biographies and feuds of dozens of Dreyfusards and anti-Dreyfusards. All of Harris’s investigations are thoughtful and beautifully written, but in her quest to muddy the waters she occasionally examines issues—like the role the occult played in the affair—that are interesting but not strictly material. For the lay reader, she can stray too close to the line separating valuable context from superfluous detail. Her thesis attempts to challenge works like Begley’s by raising uncomfortable questions about our historical heroes and villains. Here we have a raw injustice—the conviction of an innocent man because he was a Jew, and the dedicated effort by bigoted functionaries to cover up and keep him in chains. Yet in Harris’s telling, shades of gray quickly emerge. Dreyfus appears to have possessed none of his brother’s eloquence: he had a thin, uncommanding voice and gentle mien. His boosters compared him to the suffering Christ, but to others he came across as aloof rather than pitiable. The liberals of France rallied to Dreyfus’s cause for wildly disparate reasons: indignation at a wrong, yes, but also anti-Catholicism, disdain for the military, a thirst for anarchy. After Dreyfus was finally pardoned, some prominent Dreyfusards such as future Prime Minister Georges Clemenceau tarnished the cause by calling him selfish—and a bit too Jewish—for abandoning the national struggle for reform just because his own skin had been saved. Harris addresses these nuances in a spirit of earnest inquiry, rather than knee-jerk contrarianism. At the end of the day, she roots for Dreyfus too, but feels that we honor him better with honesty than with legends. But the issue is one of emphasis as well as honesty. Harris’s portrait of novelist and rabble-rouser Émile Zola conveys a similar, and too thoroughgoing, skepticism of mankind’s capacity for unequivocal acts. In a remarkable move that lit the fuse of the affair, Zola wrote J’accuse!, an open letter to the French president published on the front page of the newspaper L’aurore. Printed in a special first edition of 300,000 copies, the article demolished the military’s case against Dreyfus and its sham acquittal of the real traitor, Walsin Esterhazy, whose note to a German contact had been recovered by an embassy custodian working for the French. J’accuse “was one of the greatest journalistic events of the nineteenth century,” Harris writes. Yet she also notes that Zola’s essay contained several factual errors and focused on the wrong culprit within the military cover-up. (He thought that Colonel Armand Mercier du Paty de Clam was the mastermind of the conspiracy, when in fact de Clam was more of a bumbling functionary.) Zola’s introduction of absolutist terms such as good versus evil, Harris argues, destroyed any hope of compromise, and his intervention had as much to do with vanity and ambition as with springing Dreyfus from jail. Harris suggests that J’accuse, like a bombshell departure letter to a former employer, caused a sensation but ultimately made matters worse. While that is Harris’s view, Begley calls J’accuse an act of heroism. He hits closer to the mark. “It is impossible to overstate Zola’s courage,” he writes, noting that the novelist was convicted of criminal libel and wound up fleeing the country to avoid imprisonment. He effectively said goodbye to his family and moved to England, where the wine is bitter and the cheese comes in slices. J’accuse was a rash act of moralistic high drama, but sometimes one must torch the whole forest—events demand it. Who knows but that Dreyfus would have died on Devil’s Island had someone of Zola’s stature not decried as loudly as possible the monstrous injustice that had transpired. Begley has the better case in explaining why Zola’s letter deserves celebration and even awe, just as his ashes belong in the Panthéon. 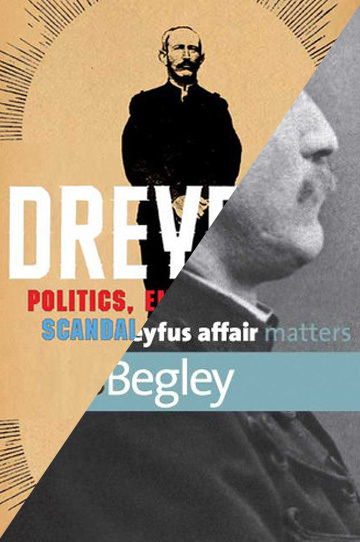 Throughout Why the Dreyfus Affair Matters, Begley develops an extended comparison between Dreyfus and the Guantánamo detainees, urging the U.S. government to learn from the mistakes of its French cousins. The comparison—which even goes so far as to cast Ambassador Joseph Wilson as the war on terror’s Picquart— breaks down quickly. Dreyfus was plucked on no evidence from his desk during peacetime, whereas war on terror suspects—even the inevitable innocent ones—were rounded up on a field of battle months after a devastating and unprovoked attack on American soil. To make this distinction is not to condone one of the biggest disasters in U.S. policy in generations, but merely to question an effort to stretch the moral of the Dreyfus affair beyond what the facts will bear. But the genius in having a lawyer write this book is to draw from France’s experience the easily overlooked lesson that procedural protections for the criminally accused are all that separate justice from caprice. Dreyfus was indicted because of anti-Semitism, but he was convicted only after military prosecutors privately lobbied the judges, tampered with witnesses, and submitted secret documents that would have been exposed for forgeries by adversarial probing. Begley’s Guantánamo argument is persuasive at least in linking the stacked procedures used to try Dreyfus with the Bush administration’s deprivations of due process. The point is well worth making. Begley’s comparison may provoke, but ultimately he takes the traditional view of the Dreyfus affair: black and white, right and wrong—ultimatums, righteousness, and the cry of “never again.” Harris is a revisionist—and also a relativist—and she takes the bigger risk by upsetting a story that France has finally learned to live with after many contentious decades. She scorns the valedictory celebration held in 2006 to mark the centenary of Dreyfus’s rehabilitation, at which President Jacques Chirac described the affair as a “conspiracy of injustice opposed by honor and truth.” Yet while she is right that history contains no storybook heroes, at times her search for nuance obscures the big picture. A Jew was convicted and imprisoned based on forged evidence, and a coalition of men and women fought tirelessly to clear his name. They had their various reasons, yes, and they ultimately redeemed him through the unsavory compromise of a presidential pardon rather than a jury verdict. Yet actions need not be pure in order to be perfect—otherwise, they would not be human. Mathieu’s letter to his brother was perfect—a transcendent example of selflessness, courage, and brotherly solidarity. History contains few such moments, it is true. When they do occur, we must not miss them.